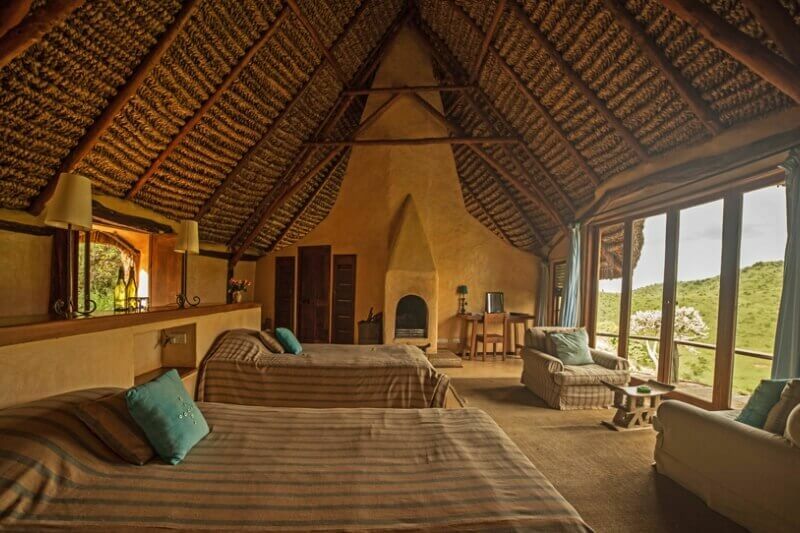 Sporting panoramic views over the Samangua Valley, the Lewa Plains and Mount Kenya beyond, Borana Lodge offers eight romantic and unique cottages nestled into the hills above the Ngare Ndare Forest. 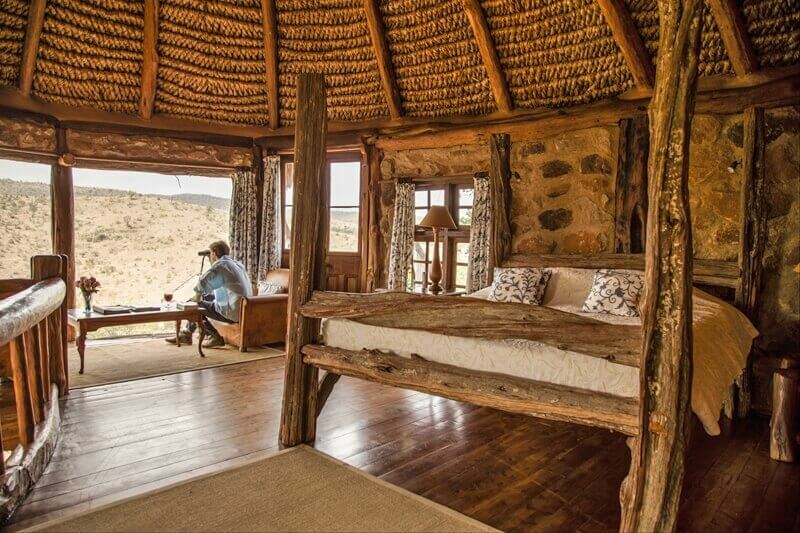 Fall in love with the wildness of the land as you bask in Borana’s style and comfort, marvelling at its sweeping views and basking in its soul-enriching isolation. 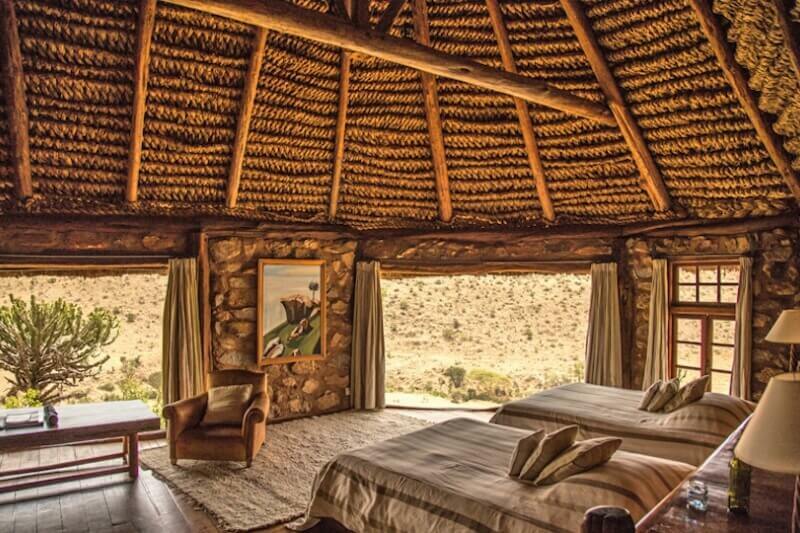 Those who want to combine the seclusion of a private cottage with the wildlife and adventure of a luxury safari. Top recommendation? Walking around the conservancy is one of the best ways to immerse yourself in the evocative landscapes. Borana provides an incredible, almost quintessential safari experience. The cottages are cozy but luxurious, the service is incredible, the views are spectacular and the game-viewing is among the best in the world. 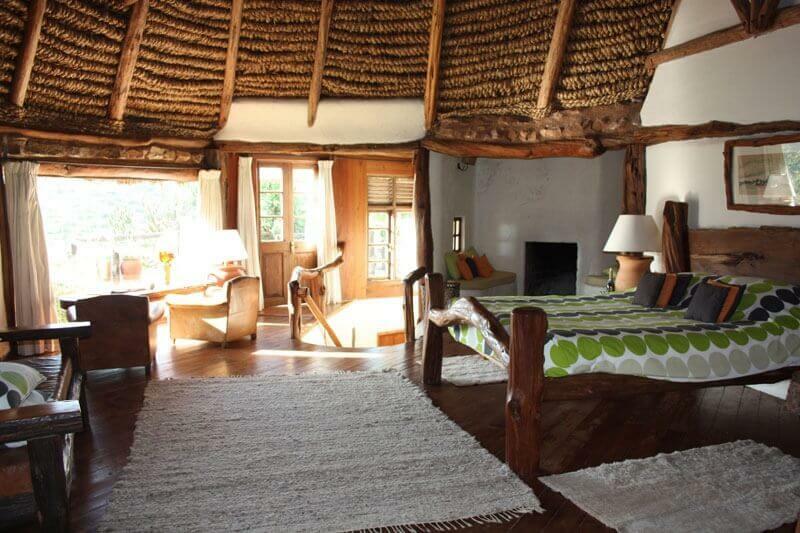 Borana Lodge can arrange scheduled flights or private charters for your trip. Scheduled flights land at the Lewa airstrip located 50 minutes from Borana. The journey to the lodge can of course take longer depending on how much wildlife is seen on the way. On scheduled flights, the weight of luggage is restricted to 15 kg (33 lb.) for checked baggage and 5 kg (11 lb.) for hand luggage. Private charters land at the Borana airstrip, which is a 10-minute drive from the lodge. Borana offers some of the most thrilling, authentic and unique ways for travellers of all ages to encounter Kenya’s wildlife and wilderness. 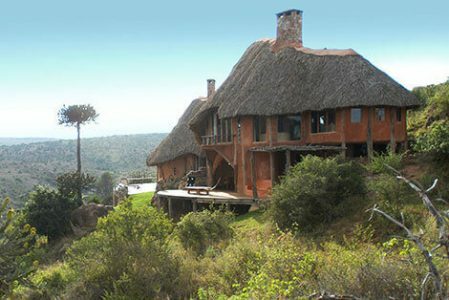 Borana Lodge offers eight romantic and unique cottages, each with an open fireplace and private veranda. Located furthest to the north of the main lodge, this cottage is ideal for honeymooners. Located between Room One and the dining room, this room boasts amazing views. Located very close to the main mess, near Room Four; together they make a great combination for a family. Room has two large single beds, private veranda, a lovely big bathroom with bath and shower, and great views. Also wheelchair friendly. Located below the main lodge, and combines well with Room Three for families or groups. 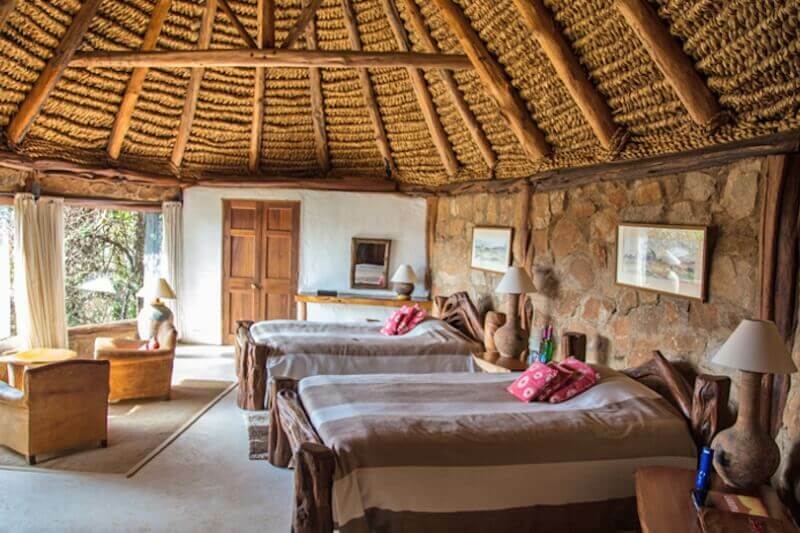 Also boasts a private veranda below the room and a bathroom below the bedroom; moulded into the natural rock. With views down into the dam, this room is part of a double cottage with Room Six, with which it shares a veranda. This room has two large single beds, and, in addition to the veranda, more amazing views from the bath and shower. Room Six has its own deck with a children’s room downstairs. The children’s room is only suitable for small children but is very colourful. The rooms share a bathroom, upstairs adjacent to the parents' bedrooms. This room is ideal for a family of six. Part of a double cottage with Room 8. Upstairs, twin bedroom with great views and a shared sitting/dining room. Perfect for travelling with friends or teenage children. Shared plunge pool in front of Room Eight; shared veranda area; great views down into the dam, with more great views from the bath. 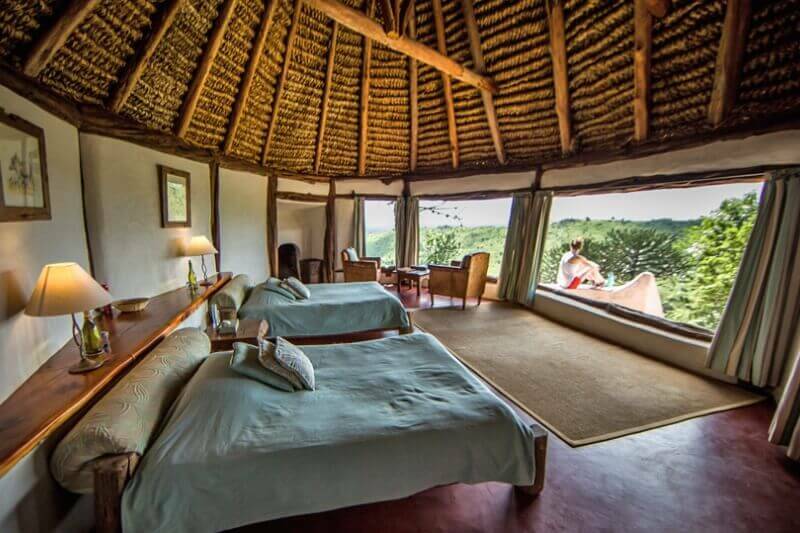 The most spacious room at Borana, with a large double bed and a huge bathroom overlooking its own plunge pool. This cottage is quite far from the lodge down a steep set of stairs, but well worth the trip to get there. 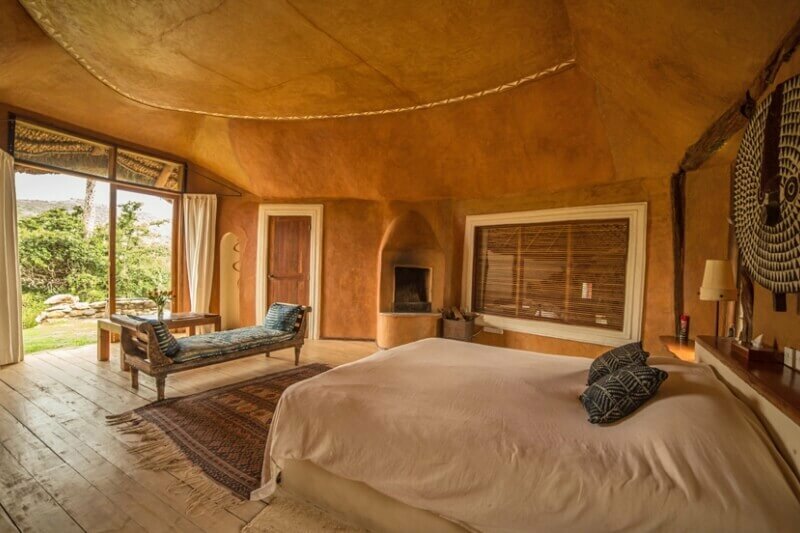 Evoking the traditional east African style of the 1940’s, Jack’s Camp offers a luxurious adventure not just in another land, but another time. Looking to extend your adventure? 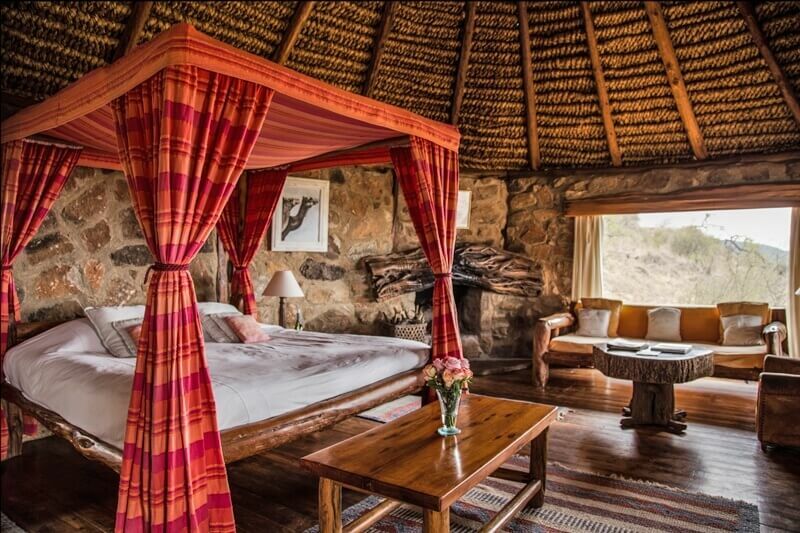 Discover a few ways to weave Borana Lodge into an even grander journey.